If you’re a homeowner in the DFW metroplex, you are most likely familiar with expansive clay soil and the potential dangers it poses to the durability of your foundation. Unique to only certain parts of the country, but especially prevalent in North Texas, expansive clay soil is a factor that could negatively impact the hardiness of your foundation and could cost thousands of dollars to repair. If you aren’t sure if your home is built on expansive clay soil, or think your foundation has suffered damage due to it, HD Foundations are the professionals to call. What Is Expansive Clay Soil? While there are many types of expansive clay soils, the most commonly-found silicates are smectite, bentonite, beidellite, nontronite, illite, and bentonite. 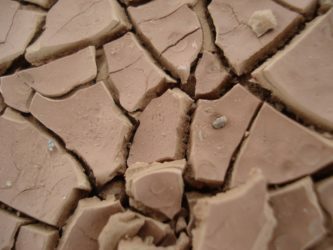 Unlike other types of soil, expansive clay reacts to an increase in soil moisture by – you guessed it – expanding. While lots of different types of soil expand and contract depending on the amount of water it comes into contact with, or changes in temperature, the swelling potential is greatly increased with soils that have larger clay content. This difference in expansion potential can be enough to cause issues with your foundation that may need to be addressed. Why Is Expansive Clay Soil An Issue in Texas? As you are most likely well-aware, Texas has extremely variable temperatures/weather patterns, all of which can cause clay soil to expand and contract. This movement is what damages the foundation, causing instability and cracks that can leave your entire foundation vulnerable. There are two things that can result based on moisture and temperature changes: uneven moisture accumulation, and uneven drying. Both of these can result in either the sinking or rising of the foundation that can compromise its stability. How Do You Fix Foundation Damage Caused by Expansive Clay Soils? You can predict whether foundation damage could become a factor based on where you live. Typically, single-family homes are more susceptible to foundation damage due to expansive clay soils than apartment complexes simply because the increased weight of the larger building can offset the expansion of the soil, minimizing damage. Foundation problems due to expansive clay soils are, unfortunately, a common problem in the DFW area. Luckily, there are a few tried-and-true methods that can help repair foundation damage – all of which HD Foundations has provided to many families in the DFW area and beyond. Pressed concrete or steel foundation piers are typically seen as the best solution against expansive clay soils, and taking certain precautions in regards to drainage and nearby foliage can also help mitigate damages. If See a Crack in My Foundation – What Do I Do? First off, don’t worry! In certain cases, cracks in the foundation can be harmless, and just due to the natural settling of the foundation or small expansions of clay soil. However, you should always ask a professional to make that determination for you to avoid costly repairs in the future. HD Foundations is well-versed in diagnosing foundation damage due to expansive clay soils and can help you with creating a plan of action that works for you – give us a call today! Foundation Damage In Pier And Beams.